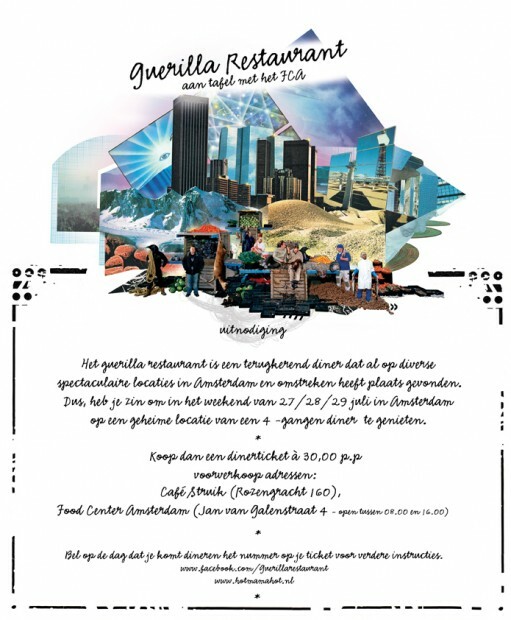 Attention to all adventurous foodies… Guerilla-Style Dining is Back! The popularity of these dinners is growing and that’s why they’re organizing another edition at a peculiar and secretive location somewhere around Amsterdam (see image above for visual location clues). So that means another chance for you and your friends to attend a Guerilla dinner. In addition to that, we can give away two dinner tickets. Let us know at which special obscure location you wish to have dinner sometime, and post it below this post on our Facebook page. The person with the most creative location wins a 4-course dinner for two.